Some 37.000 plug-ins were sold last month, which represents a 37% increase regarding the same month last year, which shows that the global EV Market continues in good health, and with 160.000 units sold this year, the 400k global sales prediction for this year look like a given, now the question is: "Will it reach 450k?" . 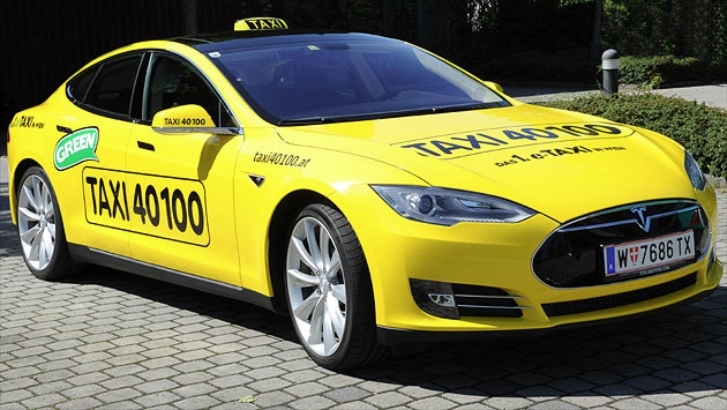 And there are two models looking to overcome the japanese car, the Tesla Model S was dangerously close in May, only 141 units behind Nissan's hatch, while the BYD Qin continues to amaze the market with an incredible records streak that has been happening since its landing, back in December '13, the chinese EV was Third in May and is now entering the more rarified atmosphere of the podium seats, if the records trend continues, it wouldn't be surprising to see the Qin get to the podium and even make an attempt at a Monthly Leader Trophy in the near future. Moving on, the YTD ranking shows two Volkswagens with different fortunes, while the e-Golf sales were down 13% regarding last month (It looks that its success is confined to Norway and the USA), the Golf GTE had a personal best, registering 1.322 units and jumping to #9 in the YTD ranking,with the german carmaker being the only to register two models in the Top 10. A final reference to the #10 BAIC E-Series, the 1.500 units allowed it to rise to #10, thus removing the Zotye E20 (#11, with 4.137 units) from the Top 10. With no actual changes in the YTD ranking, the May results showed BYD finally outrunning (Albeit by just 8 units) the perennial leader Nissan, while closing in on the posium seats, with the #3 Tesla almost reaching the #2 Mitsubishi. Considering the success of the Model S, the upcoming arrival of the Model X, and the ever-increasing results of BYD, it won't be surprising if Mitsu ends up in #4 soon. The japanese carmaker needs desperately to increase production of the Outlander PHEV and to launch it in the US as soon as possible, that is if it wants to stay a major player in the EV Market in the long term. With almost 13.000 units, the European EV market had its third best month ever, with a 50% improvement YoY, with the 62k sold this year, this is the economic block with the largest number of EV sales this year, ahead of the Americas (46k) and Asia-Pacific (55k). Looking at the monthly models ranking, the Volkswagen Golf GTE made a return to form, selling 1.322 units (A Personal Best), jumping to #2 in May and surpassing the BMW i3 in the YTD chart. As for the rest of the monthly ranking, the Nissan Leaf and VW e-Golf sales were below expectations, with the first selling 965 units (It was in 2013 the last time the japanese car sold below the 1.000 units in two months in a row), while the second was only #8, registering just 765 units, its worst performance this year. Is the GTE cannibalizing sales here? Looking at the YTD ranking, besides the aforementioned rise of the Golf GTE to #6, the Renault Kangoo ZE also had a slight uptick in sales (329 units, best result of the year), climbing one position to #12 and recovering ground to the new LCV king the #11 e-NV200/Evalia twins. Now with only 49 units separating them, it looks that the french van isn't willing to let go of its Commercial Kingdom crown without a fight. Looking at the brands ranking, there weren't significant changes: Volkswagen (18% Share) recovered ground to Mitsubishi (19%), thanks to the Golf GTE sales uptick, while Nissan and Renault are tied in a distant Third (13%). Finally we have some numbers from Finland, with 143 units sold until March, sales are up 55%, showing a market in rapid growth, with the EV Share up to 0,45%, encouraging numbers, but still far from its scandinavian neighbors (22% Share in Norway and 2% in Sweden). Looking at the models ranking, the Nissan Leaf is the surprise leader, dethroning the Mitsu Outlander PHEV from the Top Spot, while the Porsche Cayenne has found success here, shooting for #2. The Tesla Model S is #4, making three AWD models in the Top Four positions. Looking at the rest of the ranking, the Audi A3 e-Tron has made a great landing, registering 11 units in three months, while the Volvo V60 Plug-In has fallen abruptly, with sales down 77% YoY. 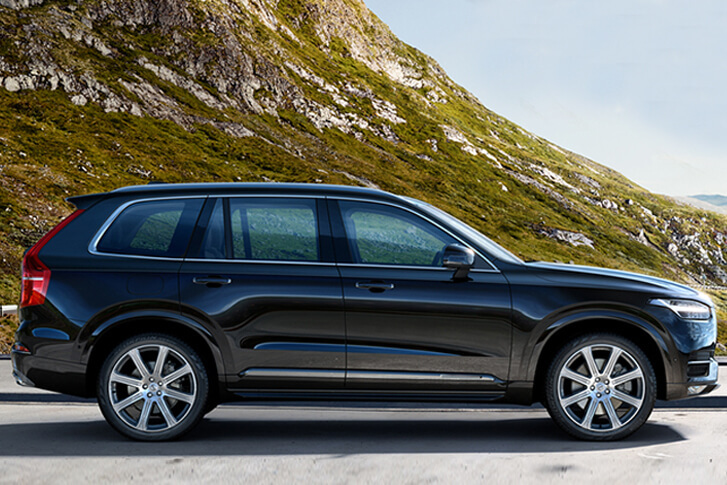 Is the XC90 doing its anticipation number? 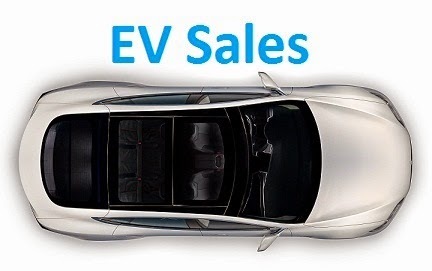 With 339 EV's sold, it was the second-best ever month, tripling sales Yoy, with the EV Share rising again to 0,78%. Looking at the models ranking, keeping with this year tradition (No one could hold the leadership in two straight months), there was another leadership change, with the Tesla Model S returning to #1, despite the Porsche Cayenne Plug-In new personal best (62 sales), it was down to #2. But the sensation of the moment is the VW Golf GTE, Second in May with 69 units, jumping to #4 in the YTD ranking and now threatening the #3 BMW i3. In the manufacturers ranking, Porsche continues in the lead (22%), followed by BMW and Tesla, both with 18%. 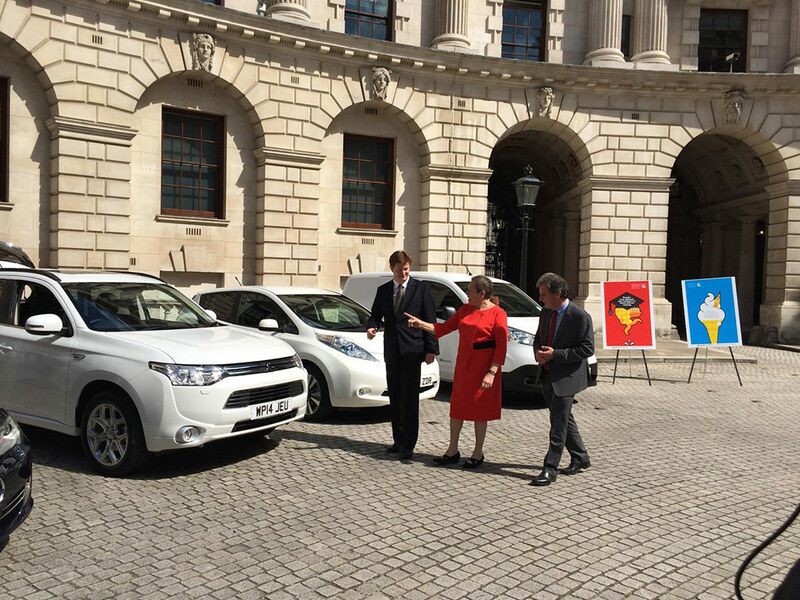 After the end of the Troika Years (2012-14), government incentives for EV's have returned and it shows, there were 322 EV's sold this year, with a record 94 registrations set last month, pulling the EV Share north of 0,4% for the first time ever. The EV Share doesn't show such a significant increase (0,42% vs 0,25%), because the overall market is also growing fast. Looking at the models ranking, the Nissan Leaf is back at its Glory Days (It was Best Seller in 2010 and 2011), leading the ranking and already selling more in five months than in the whole of 2014. The BMW i3 was pushed down one position to #2, with 42 sales YTD. In #3 we have a surprise, the Mitsu Outlander PHEV registers an impressive performance, selling 16 units last month, a record for a Plug-In Hybrid allowing it a Second Place in the May ranking, a first for a PHEV. This kind of technology is making important progresses in Portugal, and with the recent arrival of the A3 e-Tron and Golf GTE cousins, expect the 29% share of plug-in hybrids to grow even higher. Looking at slow sellers, the Smart Fortwo ED is suffering from the Generation Change (12 units last year vs 3 now), while the Panamera Plug-in has seen its sales migrate to its Cayenne brother (3 vs 1). In the manufacturers ranking, Nissan is first, with 25% Share, up 5%, making it the manufacturer to benefit most with the government grant (4.500€), with the japanese manufacturer offering an additional 4.500€ discount on the Leaf, currently it is possible to buy a brand new electric Leaf starting at 16.990€(!). In Second on the manufacturers ranking, we have Renault (24%), while BMW dropped to #3, with 15% Share. Thanks to an article on Inside EV's (Hat Tip), i can now post a draft ranking of the UK. This stratospheric growth is mostly due to the continuous success of the Outlander PHEV and Nissan Leaf, but the market is growing even faster than them, with both losing some share points, as new models spread the spectre of new clients for EV's (Audi A3 e-Tron, Golf GTE, Porsche Cayenne Plug-In...) and buyers (Both private owners as fleet managers) across the several segments realize the benefits they can have by buying a brand new plug-in. Only BEV data is available, but nevertheless, the numbers remain comparable with last year (139 units last May vs 143 in 2014, with BEV and PHEV combined), so this is another market in good health, with EV Share remaining around 0,5%. Looking at the models ranking, the Tesla Model S jumps to the leadership for the first time this year, with last year leader Renault Zoe (33 units, best result of the year), also climbing to #2, tied with the Nissan Leaf, which had its worst performance in seven months by selling just 8 units. The e-Golf also had the worst result of the year (8 sales), dropping one position to #4. Looking at the manufacturers ranking, the top spots continue pretty balanced, with a neck-to-neck race between Tesla (20%), Renault (19%), Nissan (18%) and VW (18%). Comparing the ranking below with the current Status Quo, one can see the decreasing importance of both GM and Toyota, Third and Fourth in cumulative sales, but only #9 and #12 this year, if The General is waiting for the 2nd Volt and the near future Bolt to return to the first places, Toyota on the other hand is losing a lot of time preparing the next year Prius, with the Plug-in version even further distanced in time, it risks to be outdated right from the launch. Tesla, BYD and BMW all show good improvements this year regarding their historic record, but the real performer is the Volkswagen Group, only #10 in the All Time ranking, but #2 this year, with 14.000 * of their 24.000 units being sold between January and April of this year. The Swiss EV Market registered a third consecutive sales record, this time with 445 units, and the EV Share rose again to 1,3%. If the Tesla Model S continues leading the YTD ranking, the BMW i3 amazed everyone in May, with a record shattering 194 sales, pulling an unexpected pressure on Tesla for the next June edition, the american carmaker usually has a strong performance in the last month of each quarter, but what if BMW can replicate this performance? 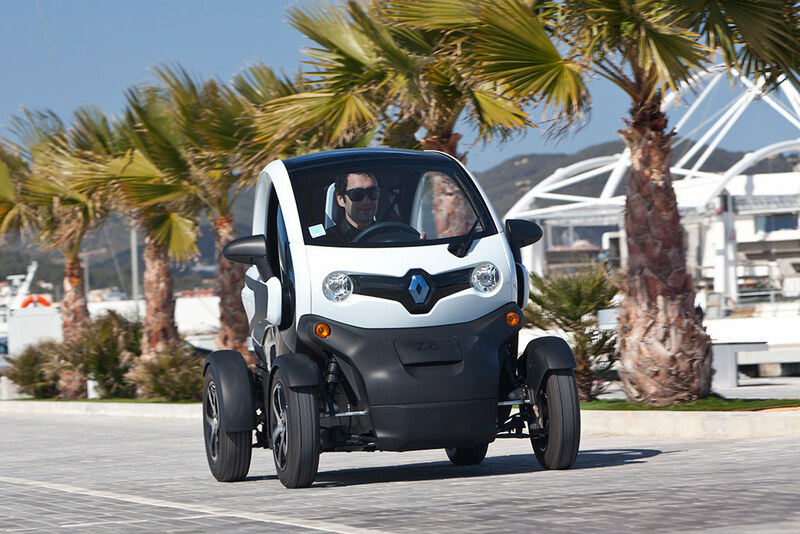 The #5 Nissan Leaf had a poor month, registering only five units, while the Renault Twizy benefits from the warmer months to jump a couple of positions to #8. In the manufacturers ranking, there was a leadership change, with BMW rising to #1, with 23%, dropping Tesla to Second (22%), while Renault (15%) surpasses VW (14%) in the race for the Bronze Medal. Electric Airplanes - A reality in the Future?